We all flew in for the Cebu leg of the Philippine Blog Awards, and we all met up Saturday morning for a half-day tour and plenty of good food. Our first stop was the Basilica del Santo Niño de Cebu, a 16th century church where an image of the child Jesus is housed. Devotees flock the church any day of the week to pray and show their devotion. Right beside it is the the Magellan’s cross. The cross standing inside is just a replica of the cross that was planted in Cebu when Ferdinand Magellan claimed the territory for Spain. Milling around the small chapel that housed the cross are old ladies selling candles and prayers. For a fee, they will perform the Sinulog: a prayer that is offered while dancing. From Cebu’s historic center, we drove out of the city and into Talisay, Markku’s hometown. We went to the beach where we gorged ourselves on Talisay lechon and different kinds of seafood (fish, clams, sea cucumber, sea urchin and some other stuff I can’t identify). We had pusô to go with it. Pusô is rice cooked in a woven pouch made with palm leaf. Afterwards, they plied us with native snacks like biko, kunselba, and salvaro. The PBA officers and organizers had an impromptu meeting right after lunch, and to pass the time waiting, I walk down to the water’s edge to take photos of the skimboarders riding the waves. Before the sea breeze relaxes us too much, we trooped back to the van for the ride back to the city. We drove to Fort San Pedro, one of the Spanish’s military defenses around the country. It’s tiny compared to Fort Santiago, and the sea have moved quite from ways from the fort, owing to reclamation. Activities for kids are sometimes held inside the grounds, but there are still plenty of places inside the old fort where you can find (relative) peace and quiet. 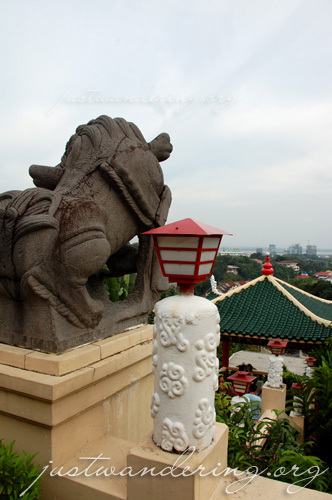 There was still some light and ample time left before dinner, so we sped to the Taoist Temple on Bevery Hills. As we were hurrying to the temple’s main gate, we were warned that the temple will close in 20 minutes. We headed up the stairs leading up to the temple, barely stopping to catch our breaths just so we’ll have enough time to take photos. Alas, less than a minute at the top and this surly lady was shouting that the temple is already closed. Some have already started making their way down, while there are some still catching their breaths from the climb up. All of a sudden, this lady screams for us to get out. That was the only sour note in our Cebu tour. Instead of touring some more, we decided to just head to our respective hotels to rest and freshen up before meeting again for dinner. Dinner was at Moon Cafe at the new Ayala Terraces. That night proved that there’s a pretty big reason to love Cebu. Food is good and food is cheap. Moon Cafe was a great discovery. Winston suggested this place to us, and we were all so glad he did. The food was great and the price was simply outrageous — we had twice as much food as we would have had in another restaurant for half the price. For dessert, we went to another fantastic discovery: Gelatissimo. Serving fine Italian gelato, this quaint cafe serves a bevy of interesting flavors from plain chocolates to flavor-packed fruit gelato. We all can’t wait for Gelatissimo to open in Greenbelt 5 this December. 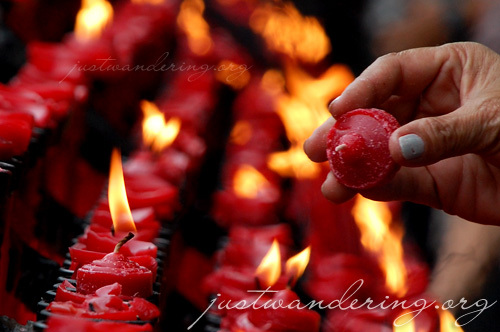 We parted ways in good spirits — save for that rude lady at the Taoist temple, our first full day in Cebu was a blast. It helped that we were with friends, but this tour (even if only for half a day) made me realize that there really is so much to love about Cebu. 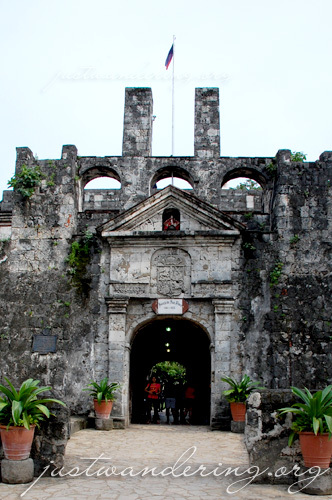 i’m from cebu pero meron pa rin ako di napupuntahan like the fort san pedro which i’m planning this week. by the way nina, the pinasugbo is the ilonggo term. Cebuano is kunselba. I enjoyed looking at your photos. You seem like a very patient person … many of your photos look like long exposure and/or multiple exposure shots. I hope I can always be as patient … it seems that it was worth it for you. i left cebu on the 17th, wish i stayed longer to see u guys on the 18th (coz i missed pba luzon due to flooding in our place) but too many things to do in my place. sayang. anyways, great shots as always nina. hahhahahahaha! Nina, I know you added shadows to the skimboarding pic to have some censorship. Lawstude: Nye, sana nga you stayed! well, what can i say… there’s no place like home. 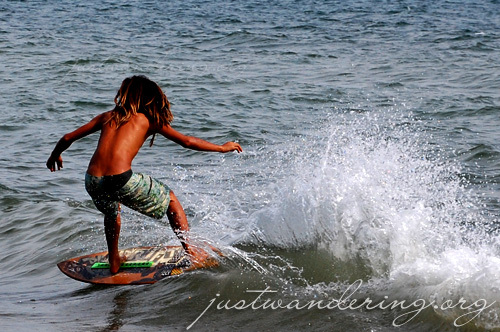 Looking at your shots makes me want to go skimboarding now. LOL. Are those dreadlocks?!? 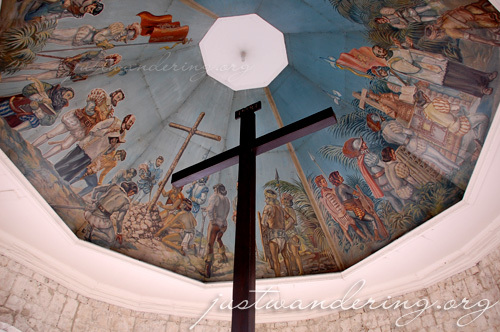 We were also in Cebu around the time you were there, visited Magellan’s Cross. Too little time to explore all the sights in Cebu. Nice site.